As a conscientious print operation in today’s market, consideration for our environmental footprint is more than just an essential business responsibility – it is a natural responsibility. 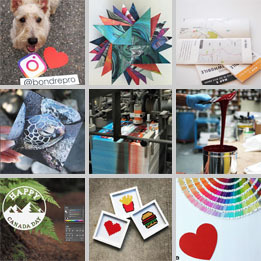 Indeed, sustainability is as much a belief in printing as the quality and delivery of our product. We are committed to sustainable development in all aspects. We buy and promote coated and uncoated stocks that incorporate between 10% and 100% post-consumer waste. PCW recycled papers have improved in variety and quality because of increased awareness and consumer demand as well as improvements in production technology. We also support the sustainable program of paper production SFC and FSC. 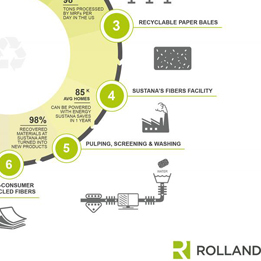 Sustainable products can often have a lighter carbon footprint then recycled stocks. However, in both cases, it will depend on where they are manufactured and how they are transported in order to determine their impact. The Forest Stewardship Council® is an international non-profit, multi-stakeholder organization established in 1993 to promote responsible management of the world’s forests. BOND is a Forest Stewardship Council® Certified printer and offers FSC® certified products. Ask for more information about certifying your job; using the FSC® logo signifies that the product comes from responsible sources—environmentally appropriate, socially beneficial and economically viable. We exclusively use vegetable oil based inks. All waste toner is collected and returned to the manufacturer and re-processed. The chemicals we use throughout the printing process at Bond Repro are ecofriendly. Any residual effluents are handled by recycling companies and are processed for chemical recovery or are neutralized for disposal with no environmental impact. We work with our suppliers to make sure that we are using the most environmentally friendly chemicals and try to attain the lowest possible environmental impact. Rags used in our offset divisions are made from synthetic material. They are cleaned by an environmentally certified company – solvents are filtered from the the rags and converted to fuel. Water used to wash the rags is recycled and reused; a 99% waste reduction. We produce our plates through a chemical-free process which utilizes a preserving gum that has no environmental impact. We reuse plates when possible. Plates at the end of their lifespan are recycled back into raw aluminum. We are careful to ensure that all of our excess, run-up and cut-off paper waste is sorted and taken to the appropriate recycling facilities, along with waste plastic and steel.